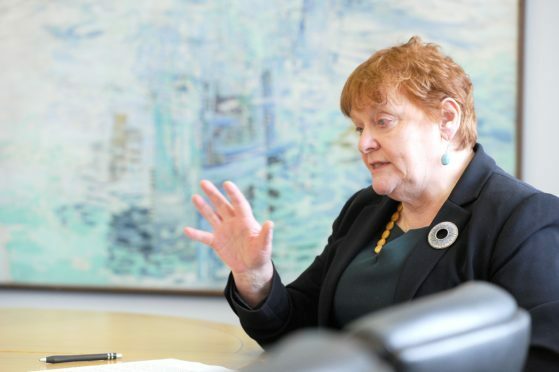 Highland Council leader Margaret Davidson yesterday revealed why the local authority hasn’t raised council tax above 3% after the Scottish Government capped it at 4.79%. She said poverty among working families was the reason why they had not imposed the increase, and painted a picture of a region facing ‘a perfect storm’ of multiple financial pressures on the most vulnerable. She told councillors: “We chose not to put the council tax up that far because we all know about the in-work poverty which is endemic through the Highlands at the moment and is a real strain. Mrs Davidson went on to describe the social factors blighting Highland communities. She said: “I was shocked at what I was finding when I was talking with officers about looked-after children. “In the past we have had at the most three children in secure care, now there are a dozen, sometimes more. “The underlying reasons for this are back to poverty and something we have to deal with now with our police services and community planning- the unprecedented availability of cheap drugs at the moment in every village and every town. “It causes me great concern, and we need to put our energies and concentration to see what we can do as an authority to help with that.